MBRC Adaptive Rowing made a statement at the 35th Bayada Regatta in Philadelphia on August 13th bringing home 4 gold medals as a team. Luis Amaro and Helman Roman each took first in their 1x event, winning by impressive margins. Helman also took first in a mixed 2x, racing with Betsy Mitchell from Sarasota. The fourth gold came from the Champions Cup where Helman competed against 2 other former national team members in a racing single affixed with pontoons. 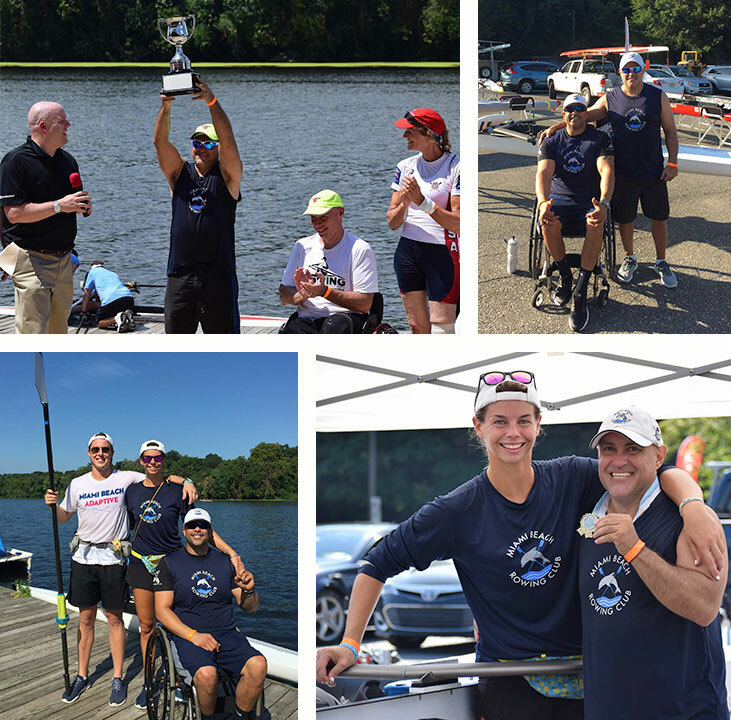 This was a great event for adaptive rowing because it proved that having a disability doesn’t mean you can’t use the same boats as an able-bodied rower. There is a movement in international adaptive rowing to shift to standard racing boats as opposed to the wider, heavier boats that are currently used.